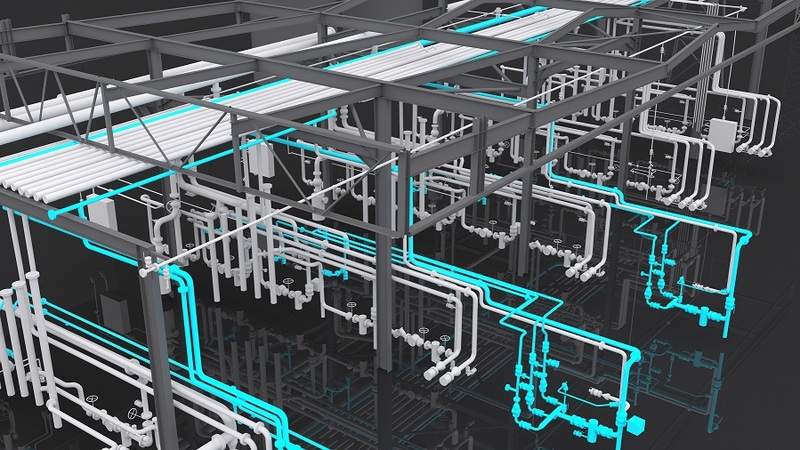 This article is to discuss the 3D spec driven models we create for our clients in the process industry, we pride ourselves on helping our clients with engineering solutions and 3D models provide our clients with a vast amount of benefits with the applications we offer. To create a 3D Spec Driven Model from a brownfield site you need to capture a large volume of data . We at ALS use modern 3D laser scanning technology to collect the data. The technology allows us to survey sites in a fraction of the time compared to using traditional methods. It is also incredibly accurate to +/-1mm and is cost effective; take a look at our case studies too see some examples of our projects. SO WHAT ARE 3D SPEC DRIVEN MODELS? Pipework is designed and built using a specific spec, this spec determines the pipes material and pressure class, for instance CS150, would refer to Carbon Steel with a pressure class of 150lb. So to model the pipework on site, we need to use a package that can work with these properties and more allowing us to model the site as accurate as possible. When modelling out pipe runs, we are able to pull out components such as elbows, flanges and valves directly from a spec driven catalogue. The information held inside this catalogue allows the model to later be used to export 2D inspection drawings, create P&IDs and be used to model in design changes, which then can later be used to export design Iso’s with the bill of Materials, Cut Piece Lists and Weld Lists. With the data our model becomes one of the most powerful tools available to manage a site, along with the other services stated earlier. It will become an excellent visual for site reviews, when used along side free software such as Navisworks. FOR MORE INFORMATION ABOUT OUR SERVICES CLICK ON THE FOLLOWING LINK…. To find out more about ALS and their services please contact Ben Pittman on (0)1245 407 553 / ben@lasersurveying.com.